How Far is Dharani's Tulip Heights? Dharani's Tulip Heights is developed by Dharani Infra Developers Pvt. Ltd in Hyderabad at Isnapur, The project offers plots for sale in Hyderabad located near to all the essential utilities and urban needs. The residents of the exclusively gated residences will enjoy state of art amenities. Excellent connectivity by Road and proximity to prestigious educational institutions, multi-specialty hospitals, and supermarkets, make this a project ideal for building your dream home as you have imagined. Hyderabad city is home of several opportunities and business establishments which is drawing investors across the globe which in turn providing job opportunities for the job seekers. Dharani's Tulip Heights is one of the prestigious projects placed in one of the localities which is surrounded in a peaceful environment of Isnapur, Hyderabad. Each plot comes with the spacious plan and ample of space for ventilation to invite fresh air and natural light. Presenting Dharani's Tulip Heights, green community living meant for those who want to lead a peaceful life at the prime location.one of the plot development projects of the builder developed with amazing plots (150 Sq yd) located in Hyderabad at one of the bestselling localities. Some of the amazing amenities provided at Dharani's Tulip Heights are Compound Wall, Underground Drainage, Avenue trees, Black Top Road, Rainwater Harvesting system, Children's Play Area and more. 6.very nearer to Tellapur IT SEZ. Surrounded residential colonies and shopping complexes. Dharani Infradevelopers Pvt. 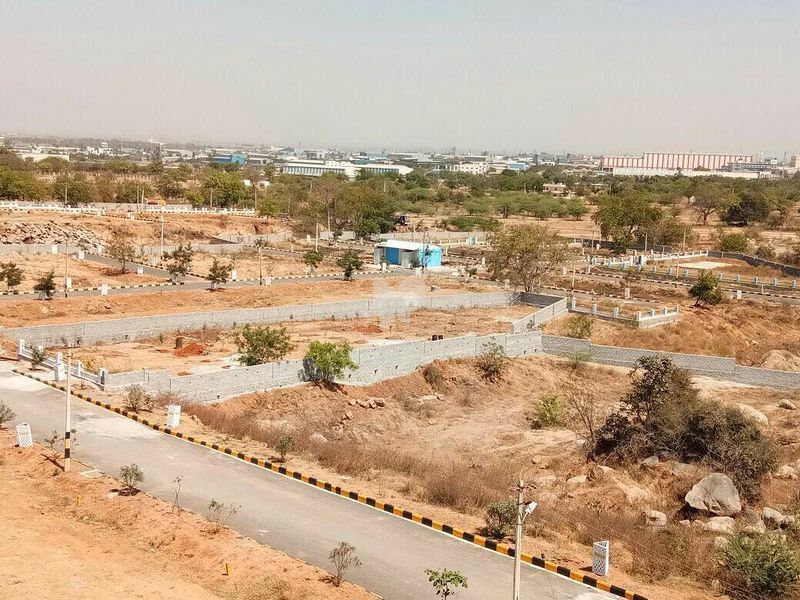 Ltd is a renowned name in the real estate industry of Hyderabad, carefully choose the prime location which will materialize investors dream with dedicated and trustworthy service by providing them dream residential plots with the best appreciation and clear title is the aim of managing director Mr. N. Vamsi and executive director R.L. Nayak. both have great knowledge about the real estate industry, they have a team of professionals who are experts in their own field. Dharani Infradevelopers Pvt. Ltd is committed to providing the best solution to the customer within the budget, Dharani Infradevelopers adopt a professional approach of global standards while providing services. Dharani's Tulip Heights in Hyderabad at Isnapur is one of the best projects developed by Dharani Infradevelopers. Some of the developments of Dharani Infradevelopers, Dharani's Smart City in Shadnagar, Dharani Planet Pride in Kothur, Dharani Apple County in Kothur and more. Our vision is to become a unified infrastructural services and solutions provider with cost competitive and market driven Plots/ Villas adhering to standards which exceeds customer expectations. the vision is to redefine living banking on aspects such as reliability, affordability and quality. Integrity, Passion to perform and dedicated service to customers are the core values of our company. We believe in incorporating them as anchor points in each and every decision we make. Our core values not only guide us, but also evaluate our operations, planning and our vision for our future. We embrace the following values in our vision for our future. · Provide systems, facilities and infrastructure for quality living. · Creating an environment which maximizes quality and efficiency of every individual customer. · Meeting and exceeding standards of performance in all service operations. · Providing adequate communication to support business operations. · Delighting the customers with value-added services that exceeds expectations.